Entry by Poppupantsu on Wed Jun 10 19:44:35 2015.
oh my gwaaattt!!! 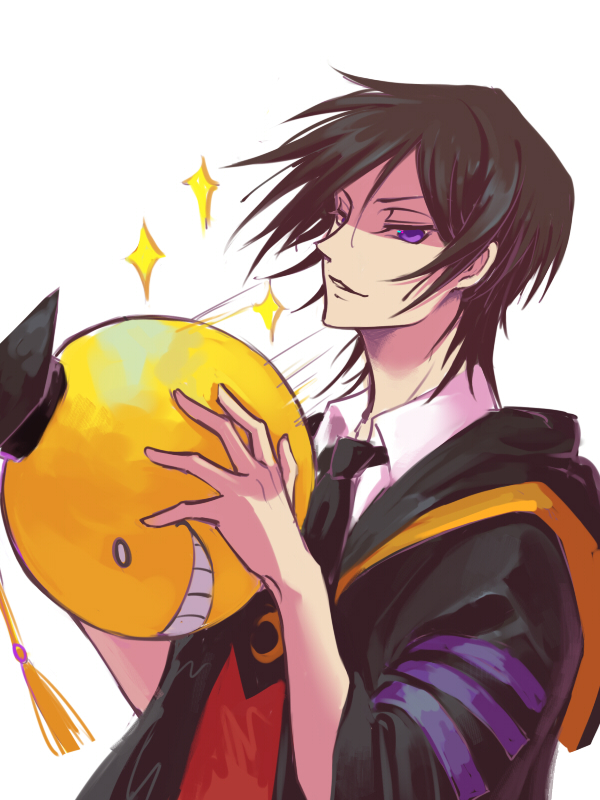 koro sensei is actually Lulu!!!!!??? In the English Dub, the voice actor who voiced Maes Hughes(FMA), he also voices Koro-sensei. Lelouch and Maes live on in Koro-sensei! I agree, yet Lelouch with a giant cube of jello around him would be weird! They both have the same seiyuu - Fukuyama Jun - who also voice Grell Sutcliff and Okumura Yuiko!